Note that the two centers overlap. The procedure is similar to finding a balance for "weights". Note that the two centers no longer overlap. Two poles emerge, a negative and a positive. A dipole (di--> two) is created. The converse effect was mathematically deduced from fundamental thermodynamic principles by Gabriel Lippmann in 1881. 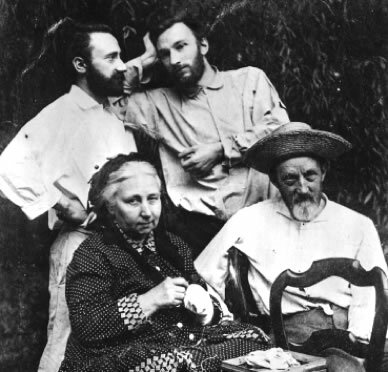 The Curies immediately confirmed the existence of the converse effect, and went on to obtain quantitative proof of the complete reversibility of electro-elasto-mechanical deformations in piezoelectric crystals. As a consequence of the converse effect, if you apply electricity on a crystal you can flex it/bend it. If you apply an alternating current, you can make the crystal move back and forth or oscillate. A crystal that oscillates makes adjacent (air) molecules oscillate and generates a sound wave. Depending on the current that you apply you can induce oscillation of the crystal at different frequencies e.g. if above 20.000Hz you generate ultrasound. In (quartz) clocks and watches, the frequency is usually 32,768 Hz, and the crystal is cut in a small tuning fork shape on a particular crystal plane. This frequency is a power of two (32,768 = 215), just high enough so most people cannot hear it, yet low enough to permit inexpensive counters to derive a 1-second pulse. sound propagation (usually underwater, as in submarine navigation) to navigate, communicate with or detect objects on or under the surface of the water, such as other vessels. 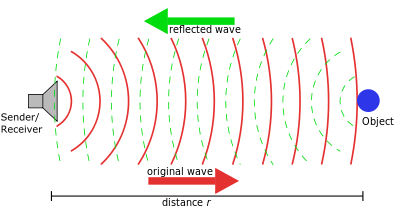 Active sonar creates a pulse of sound, often called a "ping", and then listens for reflections (echo) of the pulse. A sound wave is typically produced by a piezoelectric transducer encased in a plastic housing. Strong, short electrical pulses from the ultrasound machine drive the transducer at the desired frequency. The frequencies can be anywhere between 1 and 18 MHz. Collagen, in the form of elongated fibrils, is mostly found in fibrous tissues such as tendons, ligaments and skin. It is also abundant in corneas,cartilage, bones, blood vessels, the gut, intervertebral discs and the dentin in teeth. By chewing we generate electricity which helps in the well-being of our jaws etc. Pineal gland: our built in wireless-transmitter?